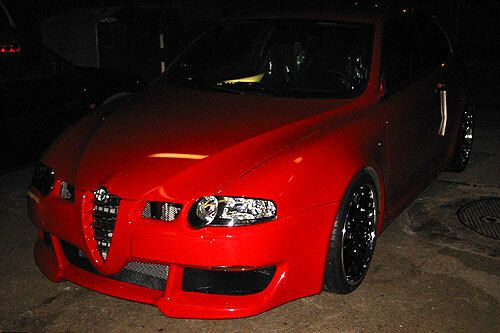 "147GTA & 156GTA from FM Evoluzione in Geneva"
This time we'd like to introduce two brand-new AlfaRomeo. 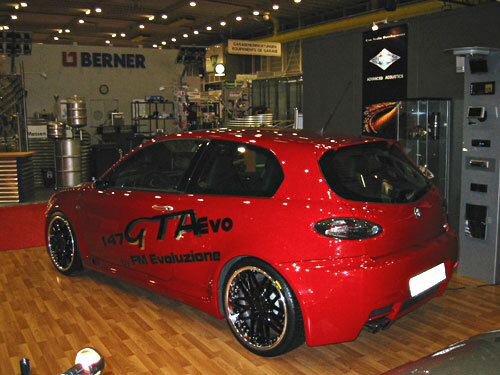 147GTA & 156GTA from FM Evoluzione! This night shot looks a little ambivalent. But you still can see 19inch big wheels and bigger front lip. Rear view is not so different from original 147GTA. Smoke colored tail lumps and black and silver colored wheels make this car KOOL. 156GTA side shot. 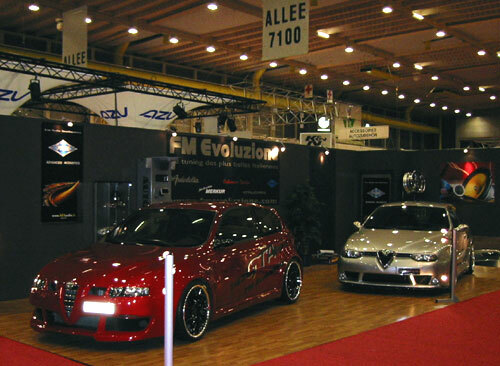 This time FM Evoluzione took Autodelta instead of Cadamuro Design. 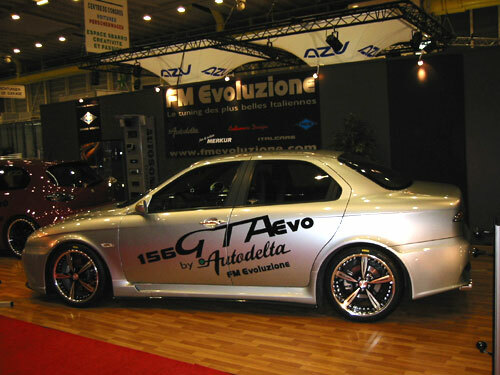 This FM Evo version looks very same as original Autodelata one except for its big wheels.